The prince used a keynote speech in 1976 to denounce a planned extension to the National Gallery in London as a "monstrous carbuncle on the face of a much-loved and elegant friend". 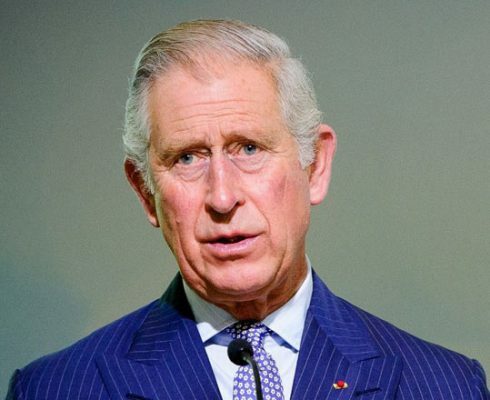 London: Britain’s Prince Charles said on Wednesday he was not “stupid” enough to keep speaking out on contentious public issues once he becomes king in a rare interview about his future role. The eldest son of Queen Elizabeth II — formally known as the Prince of Wales — has long been seen as interfering because of his private lobbying of ministers and public statements on a range of subjects from architecture to the environment. But he told the BBC in a documentary marking his 70th birthday next week that he did not intend to be a meddling king. “I do realise that it is a separate exercise being sovereign. So of course I understand entirely how that should operate,” he said. He added when asked if his public campaigning would continue: “No, it won’t. I’m not that stupid.” British royals traditionally steer well clear of politics — something perfected by the 92-year-old queen since her coronation in 1953. But Prince Charles has lobbied on a variety of issues, as shown in a series of letters between him and government ministers known as the “black spider” memos. He is also known to hold particularly strong views on contemporary architectural design. The prince used a keynote speech in 1976 to denounce a planned extension to the National Gallery in London as a “monstrous carbuncle on the face of a much-loved and elegant friend”. The planned design was scrapped. The documentary provided a rare public glimpse into Prince Charles’s views about becoming king. Generations of Britons have known no other monarch by Queen Elizabeth II — adored by the public for keeping her at times dysfunctional family whole and always staying above the political fray. The Prince of Wales has not enjoyed the same public affection and the tabloids occasionally take shots at him for seeming distant and aloof. Prince Charles said in his defence that he never directly meddled in party politics and understood the difference between his current role and the one he may eventually assume.